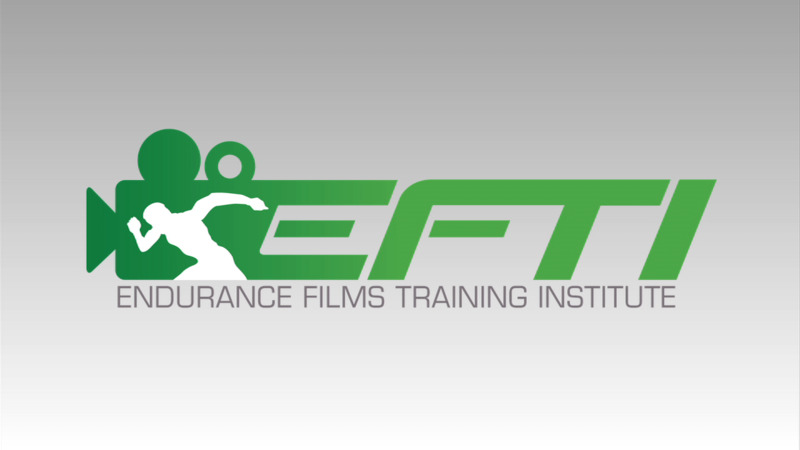 The world's cutting-edge training research and coaching philosophies are once again presented in over 15 hours of a powerful, on-demand educational video resource. Recorded live at the 2014 USA Triathlon Art & Science of Triathlon International Coaching Symposium, this fourth entry in the series contains a comprehensive wealth of knowledge geared to the improved performance of any coach or athlete. Features internationally renowned coaches and experts including: Sara McLarty, Todd Carver, Ian Murray, Alicia Kendig, Suzanne Atkinson, Matthew Valyo, Lindsay Hyman, Joe Kropelnicki, Mark Sortino, Dustin Morris, and Carwyn Sharp. HEY COACHES! USAT CEU's are available through this video series. Contact USAT for details. A presentation by Duston Morris entitled - Coaching Youth and Junior Athletes. 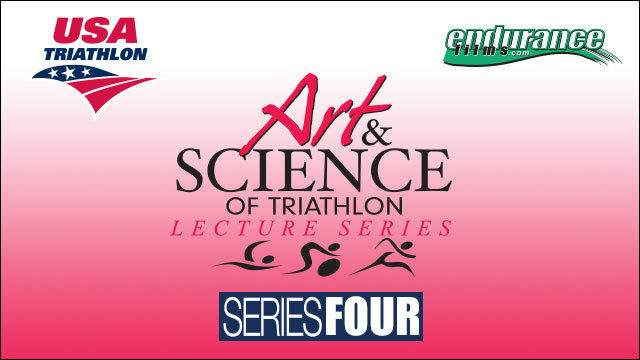 Recorded live at USA Triathlon's 2014 Art & Science of Triathlon Symposium. Topics include: USAT Competencies, Accepting Responsibility, Sample Swim Assesment, Communicating the Fundamentals, Achieving Lifetime Fitness, Childhood Obesity, Developing Character, Assets of an Effective Coach, Communication, Fun Before Success, Youth in USAT, Sample Combo Lesson, Psychological Aspects, Physiological Aspects, Understanding Parents. Recorded live at USA Triathlon's 2014 Art & Science of Triathlon Symposium. Coach Lindsay Hymand discusses Cycling with Power. Overview of training with Power. Power vs Heart rate. Application of power. Training vs Racing. A presentation by Tara Comer entitled - Women Increasing Particiapation and Coaching. Recorded live at USA Triathlon's 2014 Art & Science of Triathlon Symposium. Discusses current and future trends for women in triathlon market and coaching. Presents detailed demographic information. Audience participation discussing ideas to increase women participation in the sport. A presentation by David Bertrand entitled - Coaching Powerfully: The Greatest Triathlon Coaching Minds. Recorded live at USA Triathlon's 2014 Art &amp; Science of Triathlon Symposium. Growth in Coaching, Biggest Challenges.Impressions of Coaches, What Draws Coaches to Coaching? Coaching Philosophies. Challenges to a Successful Coaching Business, Mistakes Coaches Make in Building a Practice. Advice for New Coaches. A presentation by Sara McLarty entitled - Open Water Swimming. Recorded live at USA Triathlon's 2014 Art & Science of Triathlon Symposium. Topics include: Intro to Sara, Pool Training for Open Water, Open Water Safety, Open Water Skills, Q&A. A presentation by legendary Olympian Jeff Galloway - Mental Training: Gaining Control Over Motivation. Recorded live at USA Triathlon's 2014 Art &amp; Science of Triathlon Symposium. Topics include: Understanding mental training; subconscious vs. conscious brain; in depth discussion of 3 mental training methods; Q.A. A presentation by Alicia Kendig entitled - Considerations for Vegan and Vegetarian Athletes. Recorded live at USA Triathlon's 2014 Art & Science of Triathlon Symposium. Topics include: The Subject of Nutrition with Athletes, Lack of Available Research, Types of Vegetarianism, Reasons for Choosing Vegetarianism, Support for Vegetarianism, Effect of Vegetarianism on Energy Expenditure, Psychological Implications, Male Athletes, Low Energy Diet, Consuming Adequate Calories, Veganism and Athletic Performance, Special Considerations for Vegan Athletes, Protein Needs, Types of Protein, Minerals, Vitamins and Other Nutrients. A presentation by Mark Sortino entitled - Coaching Visually Impaired and Wheelchair Athletes. Recorded live at USA Triathlon's 2014 Art & Science of Triathlon Symposium. Topics include: Races for Paratriathletes, Wheelchair Athletes, Considerations for Training, Wheelchair Athlete Racing Considerations, Visually Impaired Athletes, The Guide is Most Important Factor, Visually Impaired Athlete Training Considerations, Visually Impaired Athlete Racing Considerations, Coaching Wheelchair and Visually Impaired Athletes, Q&A. A presentation by Dr, Suzanne Atkinson, MD entitled - Dealing with Common Injuries. Recorded live at USA Triathlon's 2014 Art & Science of Triathlon Symposium. Topics include: The Coaches Scope of Practice, Injury Prevention, Six Specific Strategies, Looking at Military vs. Triathletes, Preventing Overtraining, Agility Training, Restoration of Energy Balance, Epidemiology, Injuries in Triathletes, Lowest Risk Injury, Cumulative Stress of Cross Training, Types of Injuries vs. Race Distance, Running Injuries - Knee, Running Injuries - Ankle, Running Injuries - Metatarsalgia, Running Injuries - Plantar Fasciitis, Running Injuries - Lower Leg, Running Injuries - Hip & Groin, Bicycling Injuries - Abrasions and Cuts, Bicycling Injuries - Sunburn, Bicycling Injuries - Shoulder & Wrist, Cramping. A presentation by Ian Murray entitled - Prescriptive Bike Fitting: Guiding Athletes to Better Triathlon Performance. Recorded live at USA Triathlon's 2014 Art & Science of Triathlon Symposium. Topics include: Introducing the Importance of the Bike Fit, Brief History of the Bicycle, Coach's Role in the Bike Fit, What's Important to Athletes, Guiding Athletes to Better Triathlon Performance. 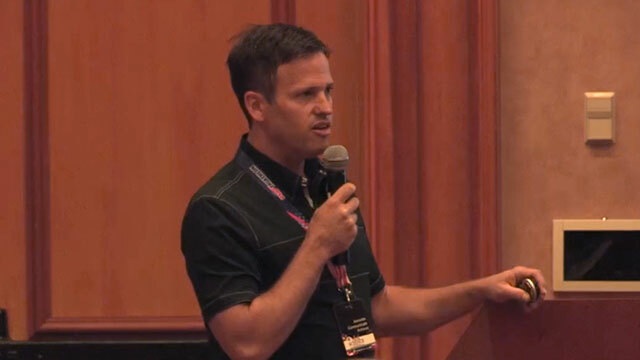 Recorded live at USA Triathlon's 2014 Art & Science of Triathlon Symposium. In this segment: The Effect of a Good Fit, Schools of Fit, Approaches to Fitting, Prescriptive Fitting is Best, Using a Fit Bike, Results of a Prescriptive Fit, Three Critical Truths Regarding Prescriptive Fitting, Q&A. A presentation by Todd Carver entitled - Positioned for Speed. Recorded live at USA Triathlon's 2014 Art & Science of Triathlon Symposium. Topics include: Aerodynamics, Drag, Power vs. Drag, Aero Drag Components, Impacts on Drag, Shape, Velocity, Skin Friction, Texturing, Wind Tunnels, Track Systems, Power Meter to Measure Drag, Validation of Testing Protocol, Aero Testing Protocol, Positioning Bike and Set-up, Adaptation/Sustainability, Speed Impact. A presentation by Joe Kropelnicki entitled - Athlete Monitoring. Recorded live at USA Triathlon's 2014 Art & Science of Triathlon Symposium. Topics include: The 5 Cornerstones, Genetics/Sacrifices/Outcomes, Periodization Planning Basics, Training Energy Systems, Critical Volume, Power Analysis, Race Specificity, Bike/Run Balance, Supra-macrocycles, Types of Periodization, Strategies, Taper Schemes, Q&A. A presentation by Carwyn Sharp entitled - Science and Practice of High Intensity Training for High Performance in Triathlon. Recorded live at USA Triathlon's 2014 Art & Science of Triathlon Symposium. Topics include: Learning Objectives, The Need for Speed, Long Slow Distance Training, Anaerobic Intervals for the Aerobic Beast, Improvement of VO2 Max, Comparison to Moderate Training, High Intensity Training Effect on Movement Economy, High-Intensity and Performance, Training Intensities of Elites, Fear of High Intensity Training, Q&A. A presentation by Matthew Valyo entitled - Practical Solutions to Incorporate Strength Training into a Multisport Training Plan. Recorded live at USA Triathlon's 2014 Art & Science of Triathlon Symposium. Topics include: Strength Training Benefits, Strength Training Issues, Opinions in Strength Training, Good and Bad Exercises, Basic Muscle Anatomy, Muscle Types, Innervation of Skeletal Muscle, Adaptations, Workout Types, Exercise Order, Periodization, Basic and Functional Weight Training, Function and Exercise, Sample Workouts, Where to Fit Workouts In, Innovation, Communication.